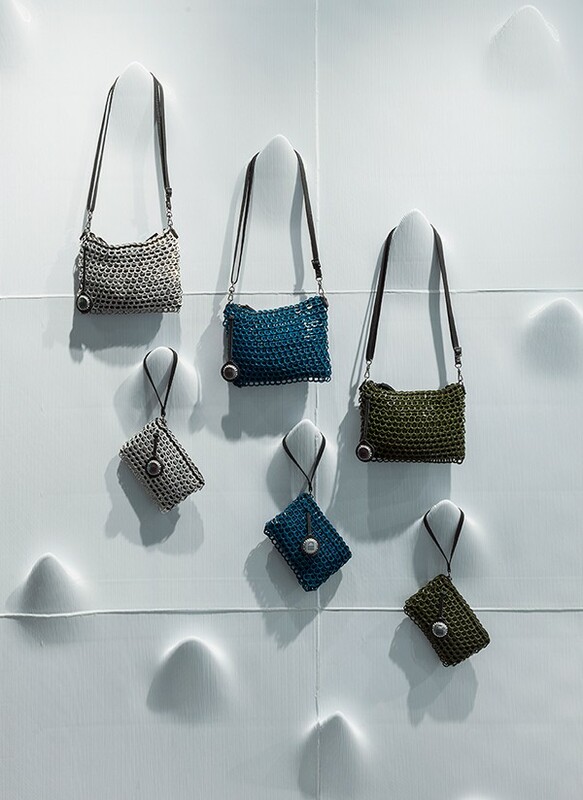 Bottletop have been creating their signature handbags made from recycled aluminium ring pulls since 2002. The brand collaborates with artisans in Brazil, Kenya, Nepal and Indonesia, whilst also running a number of global initiatives through The Bottletop Foundation, which you can read more about in our previous post. In 2016, they opened a pop up store on London’s Regent street for three months, the success of which led them to take it on as a permanent store at the end of 2017. 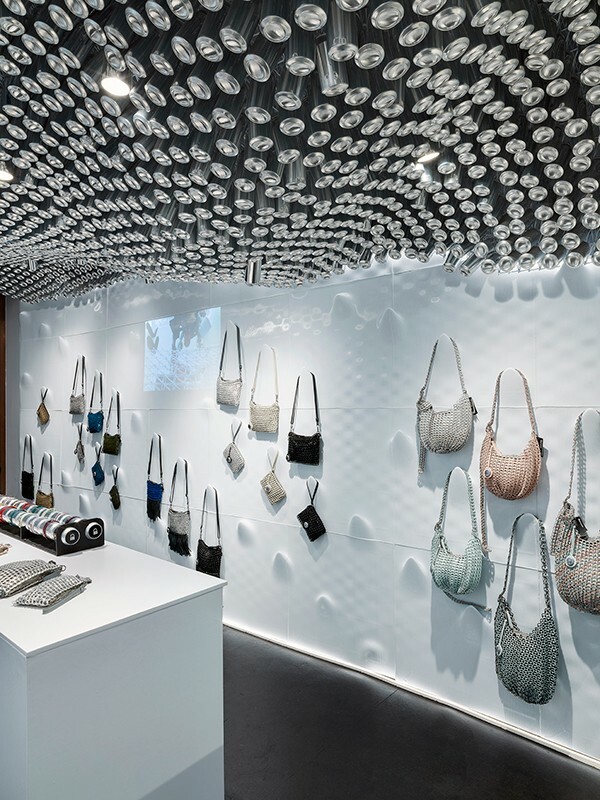 The design of the shop exemplifies their future thinking approach to sustainability by being the first shop to have a 3D printed interior made from recycled plastic. We spoke to co-founder Oliver Wayman to find out more. What was your brief for the design of the store and who did you collaborate with for this project? We wanted to re-imagine the future of ecologically responsible construction through zero waste design. We created a new ecological design partnership with Krause Architects and AI Build, a global leader in large-scale 3D printing technology. What is the technology behind the recycled plastic material? We used Kuka robots to print the store interior using Reflow filament, which is made entirely from plastic waste. The raw material undergoes a process of washing, shredding and extrusion to transform into an upcycled filament. We used the equivalent of 60’000 recycled plastic bottles. What else in the store in made from recycled materials? The rubber floor which is made from the equivalent of 69 tyres. 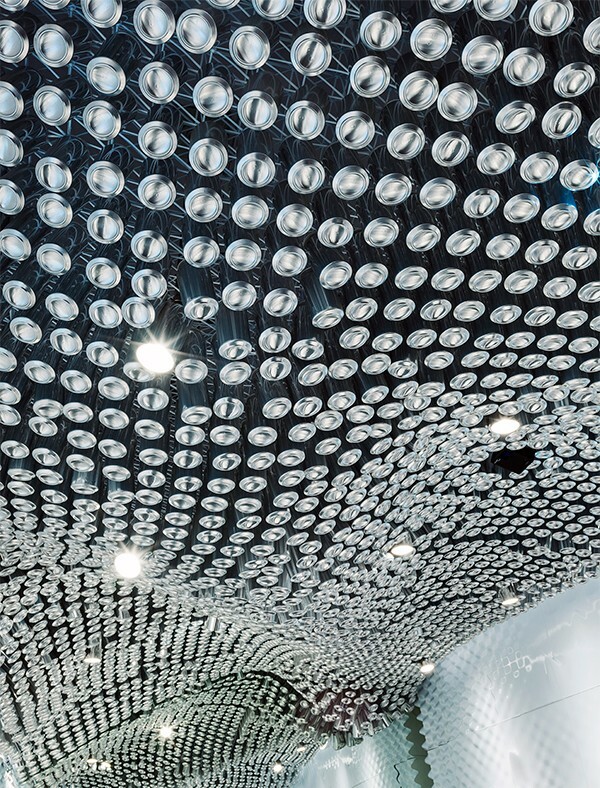 The ceiling is made from a canopy of aluminium cans which is embedded into a 3D printed lattice structure. Where were the materials sourced from? The plastic is collected from Dar Es Salam and New Delhi via income generation programs. The tyres are recycled in the US. How have people responded to the interior? Very well! When Blue Planet 2 aired, everyone was coming in commending us on our efforts to reuse plastic in such a forward thinking way. It’s a very futuristic aesthetic which I think changes peoples perspectives on what sustainability can look like. In what ways does the interior reflect the aesthetic and philosophy of the Bottletop brand? 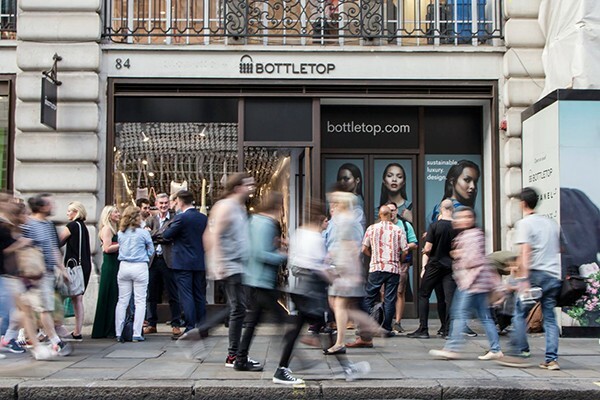 The 3D printed store concept, contributes to a broader positive ecosystem, in line with the values upon which the Bottletop brand and collection are based; those of sustainable luxury, ethical design, technical innovation and cross-cultural collaboration. With the current state of retail, what do you think it means to have a sustainable fashion brand with a physical shop in one of the capital’s most prominent shopping areas? It’s very important. It is a real statement of intent to prove that sustainable fashion and design is not a fad or niche, it is becoming mainstream. There is a transition in consumer behaviour and people are seeking out environmentally friendly alternatives. It is well overdue as fashion has become one of the most polluting industries in the world – a change is coming. Do you have plans to open further stores? Yes, we are currently looking at opening new outlets in the US and Hong Kong – watch this space!